At Toland Construction we pride ourselves not only on how to build but how to plan, budget and design your project so your home is an enjoyable investment for years to come. 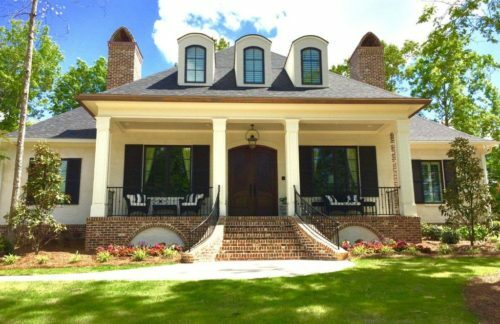 Toland Construction LLC is a locally owned and operated construction company that specializes in new residential home building in both Auburn and Opelika Alabama. We aim to give our customers the personal service and attention to detail they deserve and expect. As a staff of 10 fulltime employees we strive to stay on top of not only the quality but also the cost at which work is completed. There are plenty good builders who understand how building materials come together. However, at Toland Construction we pride ourselves not only on how to build but how to plan, budget and design your project so your home is an enjoyable investment for years to come. Simply click below to get in touch with one of our team members. We will contact you shortly after to talk more about our process and your vision! In the future we aim to focus on project based building and development in the Auburn Opelika area. Creating an atmosphere and community that appeals to the eye and consists of comfortable living features is our top priority. Staying on top of design trends and the newest technologies in the building market will give us the edge we need to be successful for years to come. One thing we have learned in this business is that whether it’s your first house or one of the many homes we are currently building, your attention to detail is what will show in the end product.